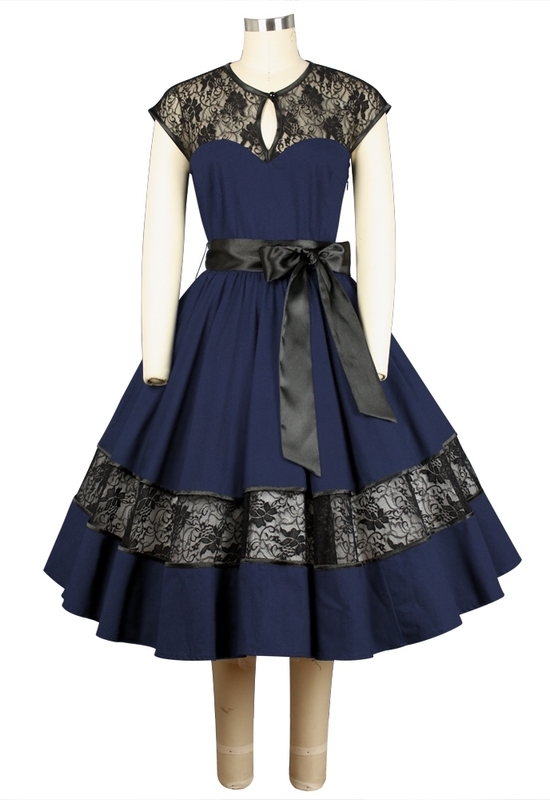 This dress features a key hole neckline, a removable satin sash on the waist and a wide lace panel on skirt. The edge of all the lace parts are trimmed with satin piping. Hidden side seam pockets. Side zip. The petticoat is not included.